I started a series in the mindset that I would be trying online dating, hopeful, but not expectant of anything. Well shortly after, I fell for someone and I wanted to keep it to myself, it was new, I don’t fall often but when I do I fall hard. I felt giddy like a school girl. I’m sure you can assume it ended. It ended for exactly the reason I wrote about in my second dating diaries post, plus he didn’t know what he wanted. I did what I normally do when a guy ends things (or pretty much makes me do it) I hop on an online dating site. I made it about four days this time around when I realized how hurt I actually was. I was at work and honestly had a little bit of a melt down. Was it fair for me to talk to boys that were nice to me when I was so unemotionally available? Was it fair for me to make fun of them to their faces unbeknownst to them? No, none of that was fair. So I deactivated my accounts. I said goodbye to two: two that I was supposed to go on dates with this weekend. That’s what did it. Two dates in one weekend, there was no way I would get through one let alone two, so I said goodbye, wished them well. 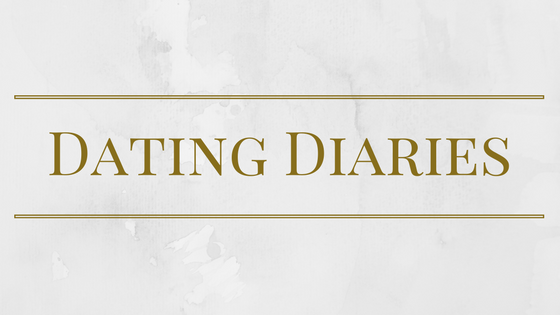 So why is this the end of dating diaries? Well, it’s not really, it’s just how I’m not dating anymore. When I’m ready I’ll come back; when I’m ready I’ll spill all the juicy gossip of how gross guys are on dating apps. I think this little mini-heartbreak has taught me a lot. It’s taught me that I know what I want, and I shouldn’t settle for someone who doesn’t. It’s taught me that if someone else is afraid of where it’s going I should be as well. It’s taught me that I can be alone and be okay. It’s also taught me that I shouldn’t let my friends set me up with people because parties from now on might be a little awkward. Now, I’m going to take myself, pour all of the love I have into hobbies and side hustles. My rebrand will be done before I go to Ohio, and everything will be ready for BloggyCon (anyone else going?!). It’s time for me to focus on me and everything I want out of my own life before I try mixing someone else’s in. So for now, I’m saying goodbye to dating diaries, and hello to something else, who knows what! When’s the last time your heart was broken? Was it full-blown or just a little tear? So I’m dating again. As you probably know, I hate dating. It’s the worst. But alas, I would like a boyfriend because one day I’d like to get married and have a family. However, it’s not going real great so far so I thought I would start a new series about dating*. I like to consider myself fairly low maintenance when it comes to men, I don’t want to be paid for (example A bought my own coffee), I’m fine making decisions for myself, and I don’t require excessive amounts of attention, all I ask is for them to be upfront with me. This afternoon I went on a first date. Personally, I thought it went well. I did a lot to prepare, got a new outfit (okay I wanted an excuse for a new outfit), shaved my legs, used a facemask, did my makeup very well. To be honest, most of that was just needed as some mental self-care. Went to meet him at a local coffee shop, he was late and the wait at the place was 30 minutes so we walked to another. We sat in that coffee shop for almost two hours. Then, we walked all over downtown for nearly 3 hours. By the end of the date, it was nearly 5:30. He walked me to the car and said he would definitely text me with plans for another encounter. Well, he did. However, he said that he didn’t think that we would be good romantically. THEN WHY THE HECK WOULD YOU LET ME GET BLISTERS WHILE WE WALK AROUND FOR THREE HOURS. Hindsight, I definitely agree that we wouldn’t be good romantically agree. I mean, he showed up in plaid cargo shorts, what the boys in elementary school would wear! Add onto that his Costco sunglasses, he would need a little fashion change, and that’s coming from me who rarely matches. I realize this is something that makes me sound extremely shallow, and that there’s something wrong with all Costco sunglasses, or Costco in general and there isn’t. However, I think the look of the sunglasses, the fact that they were worn inside, and the plaid cargo shorts showed a level of immaturity that I’m passed at this point in my life. I also had to push all of the conversations, ask so many questions, and just try hard. I definitely am just tired of being single and wanted it to work very badly. However, still a little offended he waited to text me that it wasn’t going to work out. We spent five hours together, plenty of time to tell me! Be honest people. Dating attempt one: check. *This segment is the first of an ongoing series about my life dating. I will go into things like waiting until marriage, what I’m looking for in a potential husband, as well as delving into my dates. If we were having coffee you’d be sitting on the other side of the couch at the home I babysit at every Sunday. We would be watch “13 Reasons Why” and I would be ranting about how much I hate boys and I just want to meet a nice man that treats me right and how I hope so badly it’s the one that’s talking to me now. Then I’d tell you that I don’t think it is, which makes me feel conflicted as conflicted can be. If we were having coffee I’d be sipping my second big cup of the day. Trying to get rid of the headache, the tiredness I’ve been feeling from barely sleeping the past few weeks, and most importantly, just trying to enjoy the taste and calming down. If we were having coffee, I’d let you know that I think it’s weird the baby has been sleeping for three hours, but I wouldn’t complain. Trust me I’m thankful. I would then go on to show you pictures of how cute he is, and how thankful I am for all of the wonderful families have allowed me to watch over their children this year. 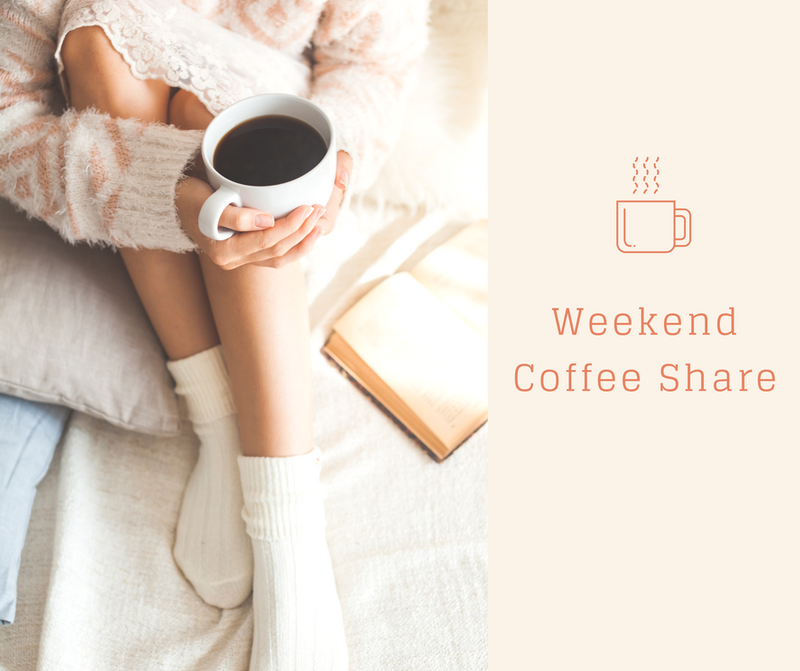 If we were having coffee, I would probably go on a feminist rant, tell you about how much I love social media, and how I wish my blog would thrive. I’d have a lot to say, but at the same time, nothing at all. I’d open up like I used to on my blog. Before I went public with it, before I was applying for jobs, and before when I didn’t have many friends. I’d share my worries, my thoughts, and my doubts. If we were having coffee, I’d ask you if you want another cup but pour you another no matter what the answer was. The truth is, on Sundays I get to a point where I desperately need to talk to an adult so I wouldn’t really want you to leave. If we were having coffee, I’d have to eventually excuse myself to get the crying baby and I’d thank you for joining me. I’d invite you back next week and be so happy for my friendships with you.